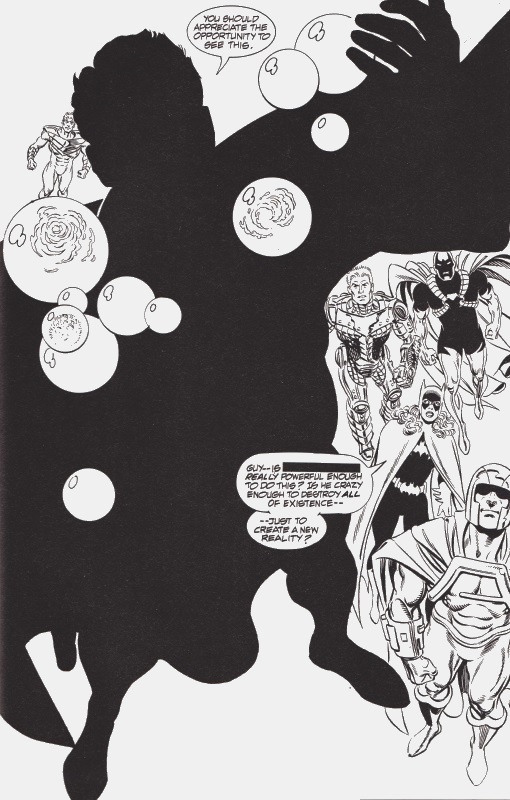 In the run up to ZERO HOUR, DC produced an 8 page (covers included) ashcan issue for their forthcoming summer event, a black and white sampler that gave a hint of things to come. 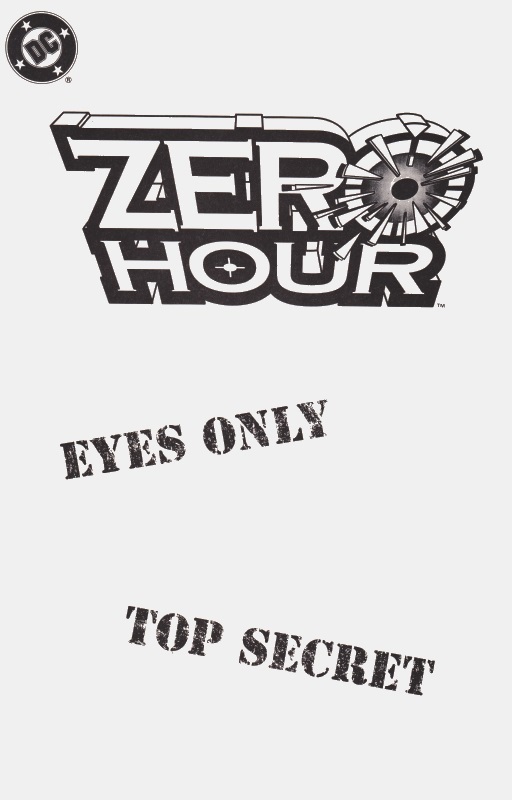 A “top secret” document given away for free! Dialogue was censored and the main villain was blacked out to hide his identity. 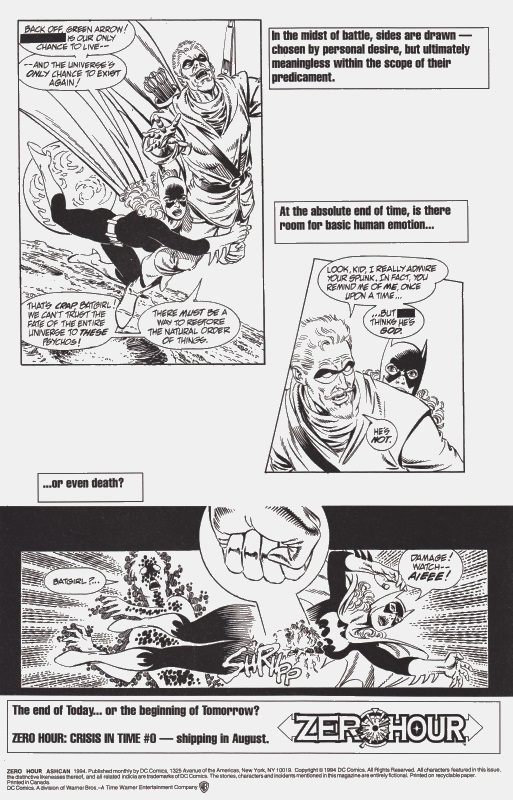 Panels were substituted with text and Batgirl’s fate was hinted at. 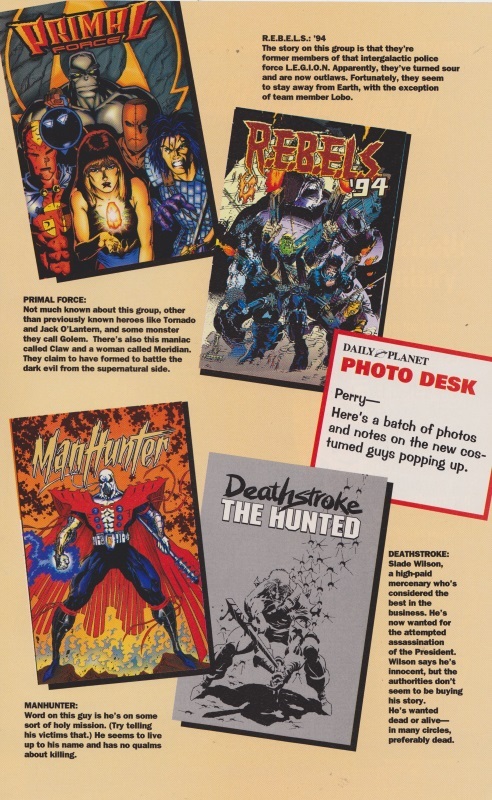 Once the dust of ZERO HOUR settled, every ongoing series had a #0 issue while other, new series were launched with a #0 issue. To promote those, the Zero Month Sampler was produced. New and old heroes on the cover. 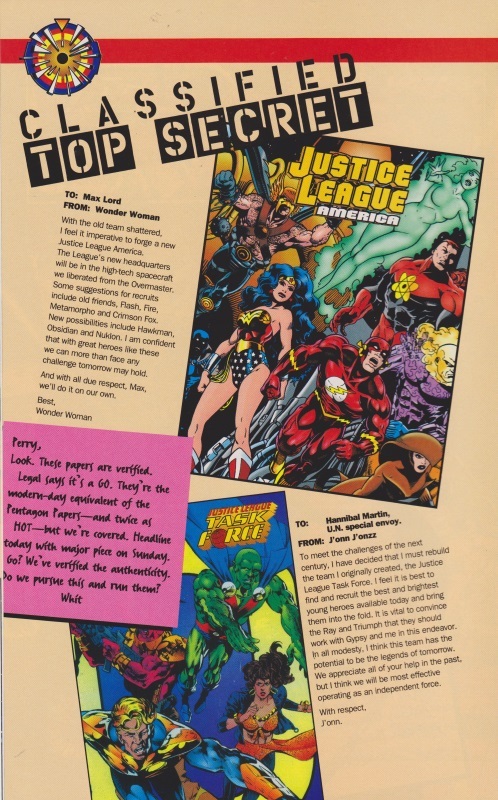 Both JUSTICE LEAGUE AMERICA and JUSTICE LEAGUE TASK FORCE lasted just over 18 months following ZERO HOUR. 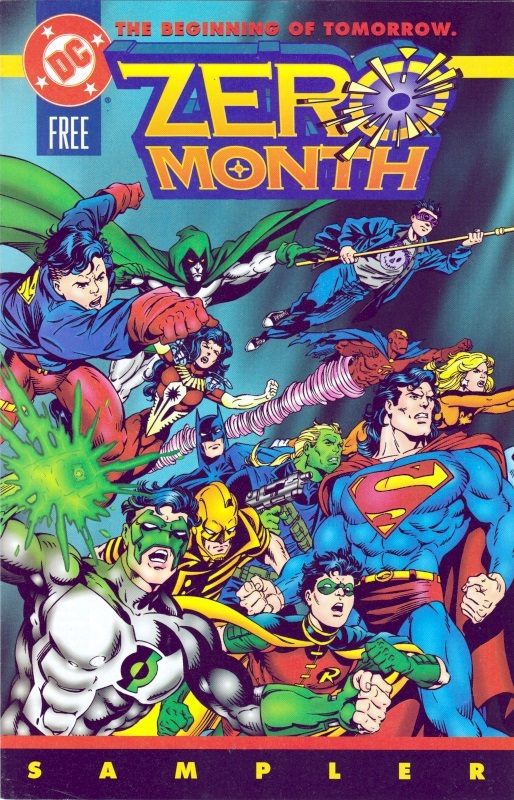 None of the new series on this page lasted as long as the League titles, although the DEATHSTROKE series was a rename and continuation of the original.